Former U.S. secretary of state Madeleine Albright speaks at the University of Chicago Institute of Politics in Chicago on April 19, 2018. The charge comes in the former U.S. secretary of state’s new book, Fascism: A Warning. The tome cautions that the U.S. President’s dismissal of unflattering media stories as “fake news” and his repeated attempts to denigrate an independent investigation into his campaign’s ties to the Kremlin dovetail with a rising wave of autocracy around the world. Part potted history, part polemic, the book charts the narrative of fascism from Benito Mussolini to Kim Jong-un, and raises the alarm about the current crop of authoritarian leaders – from Russia’s Vladimir Putin to Hungary’s Viktor Orban to Turkey’s Recep Tayyip Erdogan – consolidating power. Fascism is also a lament: Rather than serving as a counterweight to the world’s autocrats, Albright argues, Mr. Trump often expresses admiration for them. His bashing of the U.S. media gives dictators cover for their own attacks on press freedom, she writes, while his attempts to dial back America’s historic international leadership role offers undemocratic countries like China more room for influence. And the President’s musings about firing Robert Mueller, the special counsel investigating whether Mr. Trump’s associates conspired with Russia’s efforts to tip the 2016 election to their candidate, are straight out of an autocrat’s playbook. Much of the book draws on Albright’s own experience: Born in Czechoslovakia in 1937, she fled the country twice with her family – first to England after the Nazi takeover in 1938 and then, permanently, to the U.S. following the rise of a Communist government in 1948. Following a career as a political staffer and academic, Albright served as former president Bill Clinton’s ambassador to the UN before becoming her country’s top diplomat. Some of Fascism’s strongest sections are the ones drawn from Albright’s first-hand observations of the autocrats she dealt with while in office. Russia’s Vladimir Putin struck her as “so cold as to be almost reptilian”; Serbia’s Slobodan Milosevic liked to “act the innocent” in talks with the west, insisting he was merely protecting the rights of Kosovo’s Serb minority when his security forces were actually ethnically cleansing the province’s Albanian majority; Venezuela’s Hugo Chavez was an “ebullient” charmer. One particularly vivid chapter recounts Albright’s meetings with Kim Jong-il in 2000, when Washington sought to negotiate an end to Pyongyang’s nuclear missile program. For the pampered, hereditary leader of a brutally repressive hermetic country, Albright found Mr. Kim to be well-versed on world affairs, from computers to the environment, frank about his nation’s economic failures and easy to talk to. The deal ultimately unravelled, North Korea built nuclear bombs and Mr. Trump is now preparing to meet with the son of the dictator Albright negotiated with nearly two decades ago. While Albright says she is encouraged that the White House wants to kick-start talks, she worries that the President is unprepared, and could make concessions to Kim Jong-un without securing verifiable commitments to nuclear disarmament in return. Where the book falters is in its lack of a substantial first-hand account of how and why democratic leaders failed to stop the current rise of authoritarianism. As one of the most powerful members of the west’s ruling class during the decade after the Cold War, Albright is in a prime position to recount the behind-the-scenes decision-making that led to the failures of democracy she describes. Speaking with The Globe, she does admit some collective naiveté on the part of democratic leaders who sincerely believed that the fall of the Soviet Union marked the end of history. Economic problems in the former Soviet bloc, including the rise of the oligarchs, served to dissipate that initial promise. 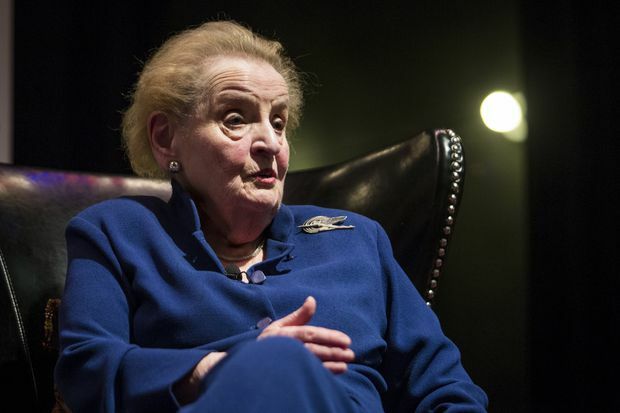 “We had been asked to do something that had never been done in history, which is how to devolve the power of your major adversary without a war,” Albright says. 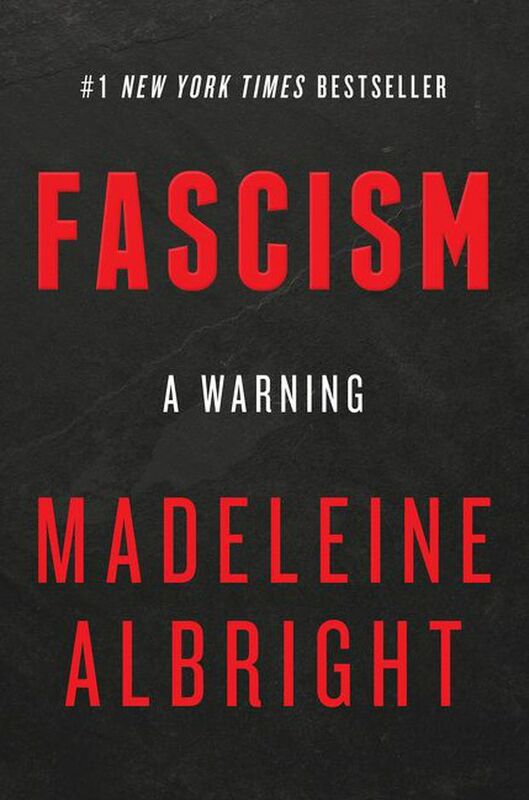 Still, Fascism stands out for both Albright’s close vantage point to many of the leaders she describes and for its deft structure, which rests on highly readable sketches of a dozen despots, interspersed with analysis on the common traits that signal the rise of fascism. Albright even tries to define the notoriously murky term, setting out three specific criteria: A leader who identifies with a specific ethnic or class group and pits it against others; denigrates democratic institutions like the courts or the free press and puts themselves above the law; and uses any methods, including military force, to achieve their aims. And by this definition Mr. Trump, for all the harsh criticism he takes from Albright, does not actually count as a fascist in her view. But Albright draws parallels between the forces that brought to power Mr. Trump, current autocrats and fascist leaders nearly a century ago. And she argues that the original rise of fascism offers lessons for today on fighting back.